Discussion in 'Guides, Mods, and Upgrades' started by Greg Holloway, Mar 3, 2016. 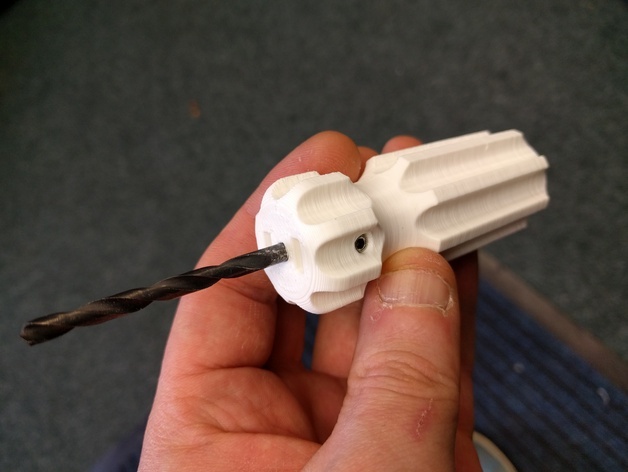 So i just published a model for some hole reamers. Trying to clean holes with my fingers is taking off too much skin! Hans C., Gregory Grubbs, Rob Heinzonly and 1 other person like this. Neato. I had a reamer that used plastic compression to hold the drill bit in place, but that ended up breaking off pretty quickly. Can I place an order for a 1 greg to go with my bigbox for assembly purposes?